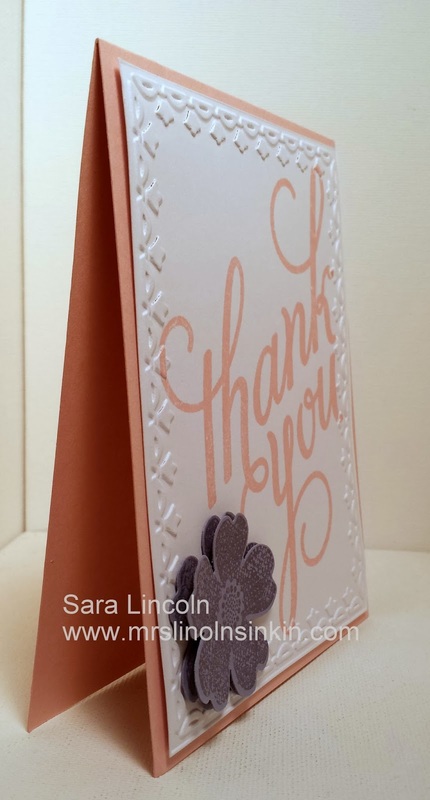 Quick post for your today sharing a Thank You card that i made using the Tulip embossing folder as well as the Another Thank You Photopolymer stamp set. I LOVE this set! All of the photopolymer sets are amazing! I love that you can see right where you are placing them so you will never have another uneven image again... unless that is the look you are going for of course:) Click HERE to see all of the SU! 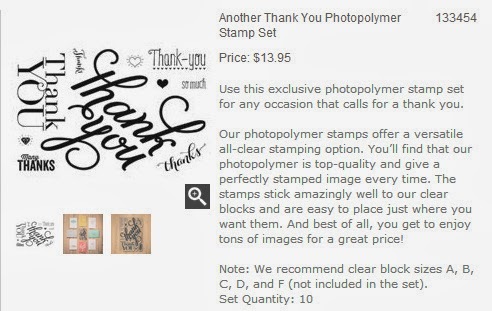 Photopolymer stamp sets. To add some more decoration i added the Pansy Punch in the Wisteria Wonder. I doubled punched this and then popped the top flower up with a dimensional. My card base measures average size of 4 1/4" x 5 1/2" and i used the Blushing Bride card stock. My Whisper White is cut at 4" x 5 1/4".